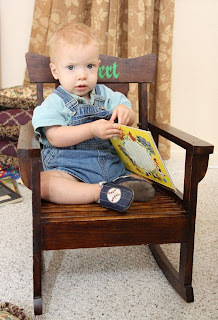 Mr. K seems to be developing a great love of books, just like the rest of the family. 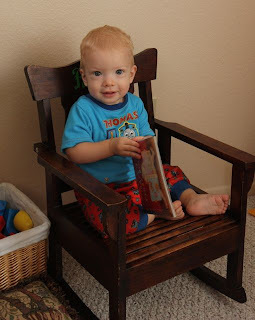 He can often be found in the corner by the book shelf reading, or in this little chair with a book. He is quite pleased with himself now that he has figured out what to do with these books and how to get them off of the shelves, just like all of the big kids! What happened to the hamster?